Tracking items such as products, devices, high-value assets, certificates, documents and other credentials is imperative for most organizations. Often companies will need to implement a system to help them do this. Part of this system is track these items by assigning uniquely identifiable numbers to each item. These numbers are then printed on durable labels, which are attached to the items. This process is commonly know as serialization. 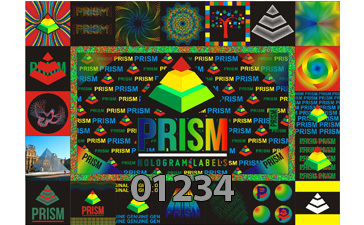 Hologram labels add an extra layer to serialized labels by ensuring greater security and authentication. Through serialization we can add unique serial numbers, batch codes or time stamps to each label. Serialization can be added through laser-etching or overprinting.